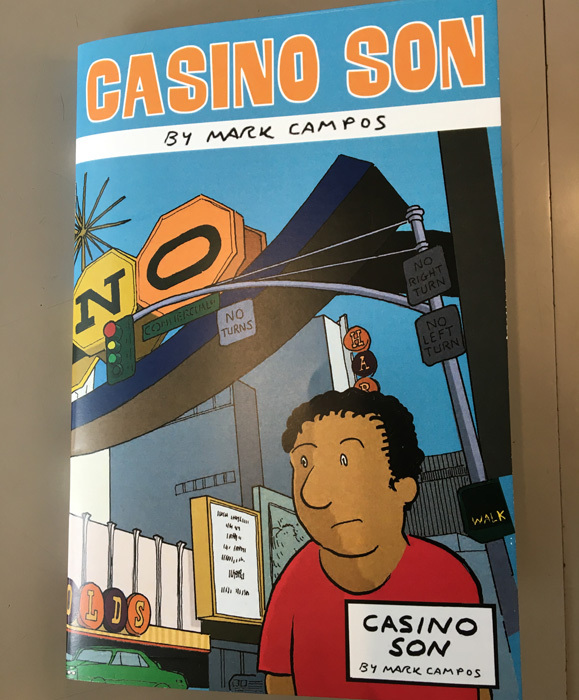 Fundraiser by Marsh Gooch : Print Mark Campos's "Casino Son"
Print Mark Campos's "Casino Son"
MARK CAMPOS (1962-2018) was a celebrated Seattle indie cartoonist, humorist and all-around great guy. We, his family and friends, are using this campaign to get his most recent comic book, "Casino Son," printed and distributed - and to help with the costs of his cremation and celebration of life. All those who donate at least $10 to this GoFundMe effort will receive a copy of the comic book, with the remaining funds going directly to his sister, Olga Maria Allen. This campaign has been organized by Marsh Gooch, one of Mark's oldest Seattle friends, and has been undertaken with the family's full support. We hope to have the comic book printed by the end of March and distributed directly after. Updates on this campaign will be issued as new info comes up or needs to be dispatched. Happy Mother's Day Weekend, folks! 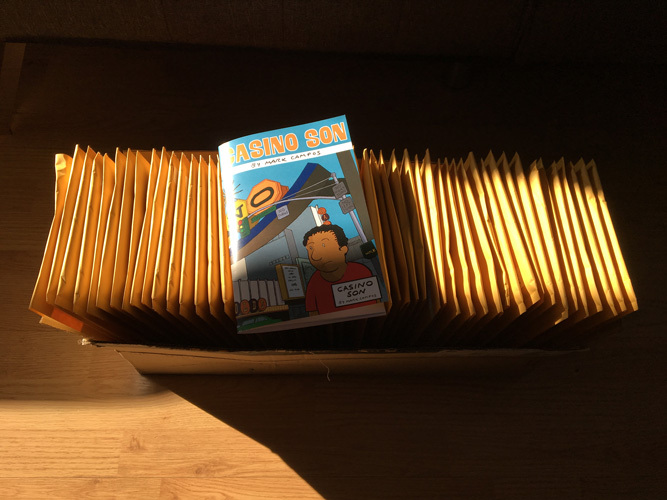 Good news: We just got back from the post office and shipped your copies of Mark's "Casino Son" comic book. Expect them in a week (US addresses; add additional week or more for Canada and UK). There are still a few folks who contributed to our campaign but haven't provided an address. Sorry to call you out "publicly," but we want you to get your comic book! Go to: https://www.gofundme.com/print-mark-camposs-casino-son , find the photo of Marsh and next to that there'll be an envelope icon; click on it to send your address. These people need to do this: Alex ?, Amy F Kelly, Annie Koyama, Brenda Little, Brittany Meyer-Strom, Cece Bell, Charlene Lenti, Elane Beach, Helen America, Joshua Leto, Kalen Knowles, Larry Reid, Laura Drake, Lori Goldston, M Peterson, Michael Dowers, Mita Mahato, Scott ?, Selena Grodek, Vanessa Davis, Vanessa Walilko, Xerography Debt. This has been an overwhelming project! So glad to have been able to get Mark's comic book published. And cheers to all of you who contributed and helped with the project. We miss you, Mark. Rest in peace, brother. Comic books sent out today! The comic book is at the printer and should be finished late next week. But there are still some of you who haven't sent your physical address, and that means we can't send you your book. So please, check the list below and if your name (or name you signed up under) is there, send us your address! Go to the main campaign page (), find my name Marsh Gooch, and click on the envelope icon next to it. That's all you have to do. Photo of the proof copy. Just got back from the press check. 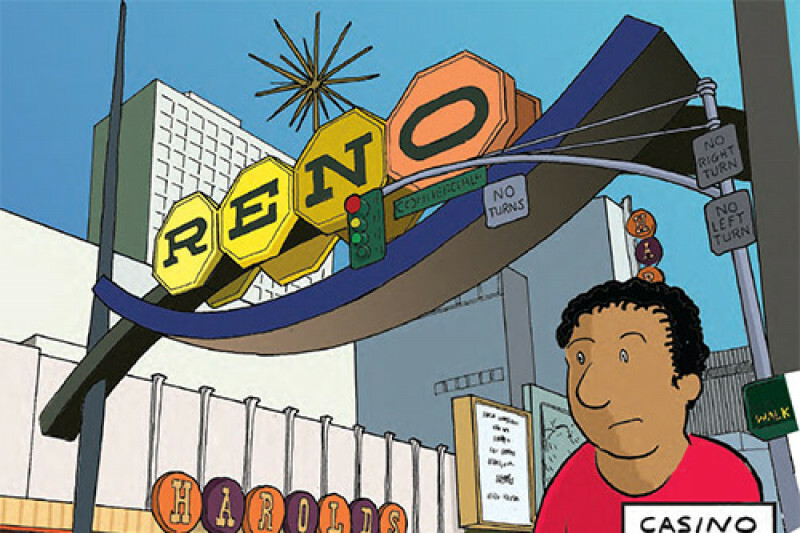 CASINO SON will be printed by the end of next week (barring any complications). Here's a pic of the proof copy. As you can see, we tweaked the cover a bit to make the title and author names more obvious. Hopefully this will help us get Mark's work out to more of the world. Great day! After many hours of prepping, we uploaded the files to a local printer last night and Casino Son should be printed and delivered to us in a week or so. Meanwhile I’ll try and find the right supplies for mailing the comic books and hopefully will have that sorted out by the time the books arrive. We’re almost there! MAILING ADDRESS: Now we really need your mailing address! There are still a number of you who haven’t provided us with an address. We must have it to get you your comic book. Go to the main Casino Son page and click on the envelope next to my name (Marsh Gooch) and send your address as soon as you can.